Winner of the 2015 Samuel Johnson Prize for non-fiction A New York Times bestseller Foreword by Oliver Sacks - What is autism: a devastating developmental condition, a lifelong disability, or a naturally occurring form of cognitive difference akin to certain forms of genius? In truth, it is all of these things and more - and the future of our society depends on our understanding it. 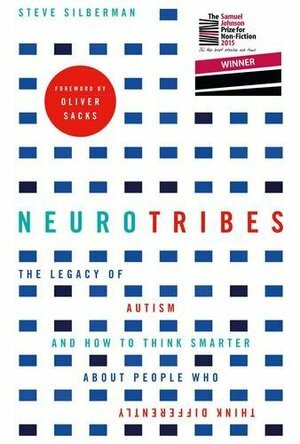 Following on from his groundbreaking article 'The Geek Syndrome', Wired reporter Steve Silberman unearths the secret history of autism, long suppressed by the same clinicians who became famous for discovering it, and finds surprising answers to the crucial question of why the number of diagnoses has soared in recent years. Going back to the earliest autism research and chronicling the brave and lonely journey of autistic people and their families through the decades, Silberman provides long-sought solutions to the autism puzzle while casting light on the growing movement of 'neurodiversity' and mapping out a path towards a more humane world for people with learning differences. This book is very technical. Ideal if you are an engineer! Also an American author, so not always relevant to us in the UK in my opinion.